Family things to do: CSI: The Experience, Topgolf, the enormous Grand Pool Complex. MGM Grand Hotel is located on the South Strip at the corner of Tropicana Avenue and Las Vegas Boulevard. The hotel was originally designed to represent Emerald City from the Wizard of Oz. That was the reason for the green exterior. Situated in the busiest four corners of the Strip, the MGM Grand is located across from New York-New York, Excalibur and Tropicana hotels assuring your family will be within close proximity of some of the best attractions and shows in Las Vegas! Besides being close to the airport, the MGM Grand is one of a few stops on the Las Vegas Monorail, so you'll find it a breeze to get to a number of other Strip hotels and attractions. Unfortunately, children do not stay free. Refrigerators available for a fee of $35 plus tax per night, based upon availability. The customary check-in and check-out times are 3 p.m. and 11 a.m., respectively. However, early check-in and/or late check-out can be requested for a nominal fee. Families are welcome at the MGM Grand, not in the casino, obviously, but there are many other activities at the hotel that will keep your kids happily occupied, and the Hollywood theme itself will appeal to children. In addition, the hotel is very conveniently located. CSI: The Experience is recommended for older children and teenagers. They will have a unique opportunity to play the role of a criminal science investigator in this fascinating 60-90 minute show complete with state-of-the-art forensic crime labs and amazing side effects. CSI: The Experience is open daily from 9 a.m. to 9 p.m. with the last entry at 8 p.m. Enter VIRTUAL REALITY, powered by Zero Latency, and your squad is transported to an immersive universe at an epic scale. Exciting, social adventures await, and so do hordes of the undead, topsy turvy pathways, and rogue killer robots. 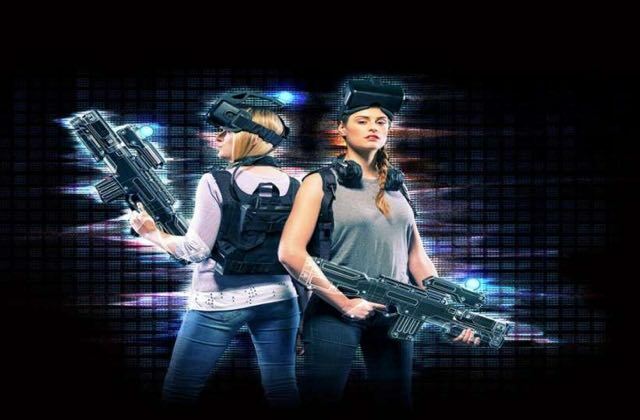 Be free to explore the VR arena, compete, and fight together wirelessly. Up to 8 players play simultaneously. Ages 13 and older until 9PM. 21 + after 9PM. 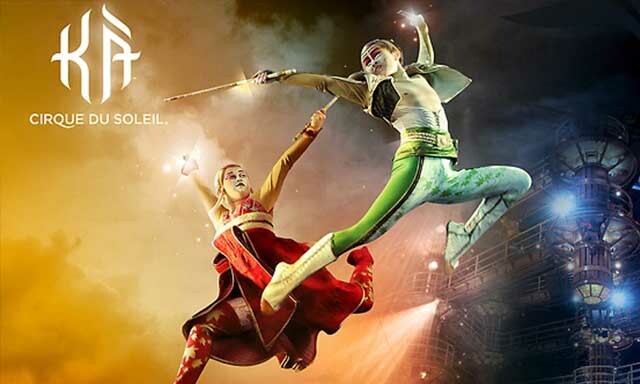 The extravagant KA Cirque du Soleil production includes acrobatics, martial arts, pyrotechnics, and jaw-dropping aerial feats. Performance times for the 90 minute show are 7 p.m. and 9:30 p.m. daily. What a treat it will be for your kids to see this world famous illusionist perform. You can catch the 90 minute show almost any evening at 7 p.m. or 9:30 p.m. or also at 4 p.m. on select days. Children must be at least 5 years old to attend. 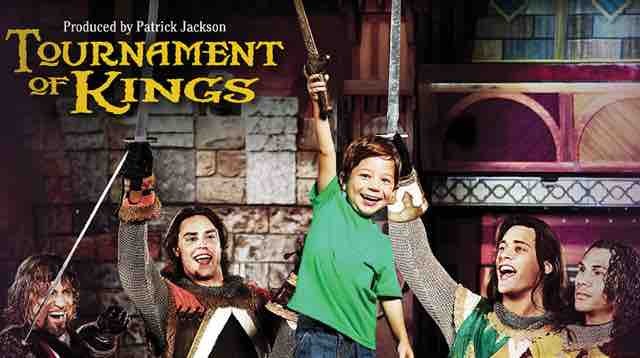 This new 90 minute show at the MGM Grand is suitable for all ages, and the mesmerizing music, choreography, and special effects should make it especially entertaining for children. Show times are Thursday-Monday at 7 p.m. and 9:30 p.m., as well as at 4 p.m. on select dates. Children under age 4 are admitted free. This is another activity that older children can enjoy. The CBS Television City Research Center at the MGM Grand welcomes visitors to come in and view and give their feedback on proposed new shows. CBS Television City is open daily from 10 a.m. to 8:30 p.m. The center is located near the pool at the end of the Studio Walk. No advance reservations are necessary, and viewing is completely free. However, we suggest you call or stop by ahead of time to get the schedule to make sure you pick a family friendly show. Your kids will appreciate knowing that their own opinions will count in deciding which shows should go on the air and which should go on the chopping block. After the show, you can visit the CBS Television City store and buy T-shirts and memorabilia from your favorite shows. Allow about an hour and a half for the show, completing the survey, and shopping. All of the major hotels in Las Vegas have swimming pools, but the Grand Pool Complex is in a class by itself, featuring no less than four outdoor pools, three whirlpools, a lazy river, cascading waterfalls, and first-rate amenities. The pools and lazy river are open seasonally from 9 a.m. to 5 p.m. Both adult-size and small kid-size tubes can be rented so the whole family can float down the lazy river. Seating is available on a first come-first served basis, and the Cabana Gill restaurant is open from 9 a.m. to 3 p.m. serving breakfast, lunch, and snacks poolside. Items on the breakfast menu that might appeal to kids include the Cabana Breakfast (eggs, bacon, and potatoes) or breakfast burrito. The lunch menu is also very child friendly, with pizza, burgers, and a wide variety of sandwiches all available The burgers and sandwiches are served with a choice of fries, kettle chips, or harvest vegetable chips. Soda and lemonade comprise the nonalcoholic beverages. Families that would like to relax in more upscale surroundings can reserve a cabana. Each cabana has a private patio and comes equipped with a flat screen TV, private safe, mini refrigerator, complimentary lazy river tubes, and personalized service. Reservations should be made in advance by calling 1-702-891-3086. Rates vary depending on the season and day of the week. Guests must check in or confirm by 11 a.m. on the day of the reservation. Lady Gaga will be will begin her Las Vegas Residency at Park Theater inside Park MGM. Her Las Vegas Residency will consist of two distinct shows: Lady Gaga Enigma and Lady Gaga Jazz & Piano. If there is any kid's activity that can top a day at the pool, it is playing the games at Fun Dungeon at the Excalibur hotel. The Fun Dungeon is conveniently located on the lower level and open daily from 10 a.m. to 10 p.m. Once your kids discover this place, they won't mind at all the fact that they can't play the grownup games in the casino because there are over 150 family appropriate games to keep them happily entertained in the fantastic Fun Dungeon! Who says Las Vegas is all glitz and glamour with no taste for times of yore? Arthurian legends come to life in the desert, complete with bravery, jousting, and a three-course meal eaten Medieval Style: by hand! This is a great way to immerse kids in history while having fun in the process, as well as facilitate some neat conversations. 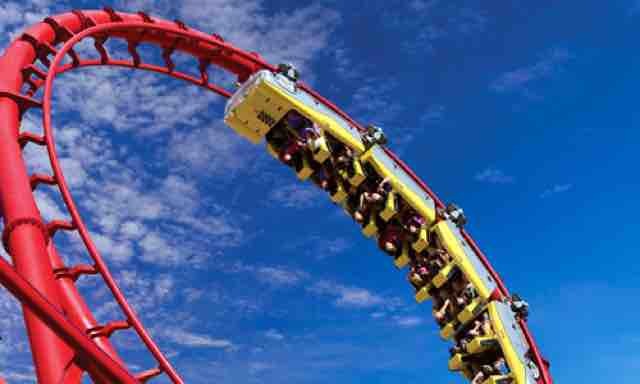 Get your thrills on the world’s first coaster to feature a 180-degree “heartline” twist and dive maneuver, providing more than 1.4 million riders with heart-stopping action and excitement each year. The fun doesn't stop there! Enjoy the excitement of some of the latest video & arcade games, and attractions in The Big Apple Arcade. 2016 will mark the 100th anniversary of the world famous coca cola bottle. If your kids love this popular drink, they will be excited to see and have their pictures taken in front of the world's largest coke bottle right by the MGM Grand. They will also have a fun time checking out the memorabilia in the Everything Coca-Cola Store and sampling different cola drinks from all around the world. The Everything Coca-Cola Store is located just steps away from the hotel at the Dryers Ice Cream Showcase Mall at 3785 South Las Vegas Blvd. Las Vegas attractions that are perfect for all kids and kids of heart from 2 to 92 are hard to find, but M&Ms World is one of them. The colorful décor, upbeat music, and sight of candy and more candy will instantly energize anyone walking through its doors. The main floor is where you will find the perfect souvenirs for yourself, your kids and anyone else on your list. But the three upper floors are the areas that will delight your kids the most. On the second floor there is a rainbow made entirely out of 22 colors of M&Ms. On the third floor, head to the station called "My M&Ms" where you and your children can customize the candy you purchased with a personal message all your own. Another not to be missed feature is a 10 minute movie in 3D called "I Left My M in Vegas." M&Ms World is located next to the Everything Coca-Cola Store just steps away from the MGM Grand, so it is impossible to miss. It is open every day of the year from 9 a.m. to midnight, so pick whatever time of the day or evening is most convenient. Also keep in mind that the place gets really crowded in the afternoons. Admission is free and so is the entertainment. Located at New York-New York Hotel, Hershey's Chocolate World Las Vegas is a delicious retail experience that offers more than 800 Hershey's chocolates and candies. The store spans 13,000-square-feet and offers exclusive Hershey's products, gifts, and delicious treats. Marvel at the incredible Shark Reef Aquarium in the heart of the desert at Mandalay Bay Hotel. Explore the 14 exhibits containing 1,200 species of exotic and endangered fish, reptiles and — of course — sharks. Enjoy up-close views of more than 100 sharks, including 30 in the 1.3 million-gallon (4.9 million-liter) main tank, one of the largest in the US. By walking through two underwater tunnels, get an even better sense of what it's like to be under the sea. 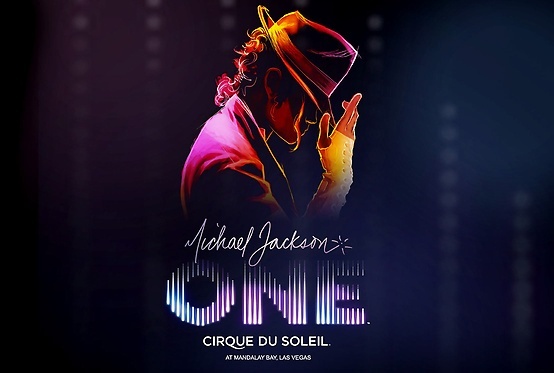 It takes one heck of a performer to tackle Michael Jackson's legendary musical catalogue, but just as he was no ordinary artist, Cirque Du Soleil is no ordinary show. If the music isn't enough to get your kids into the action, the effects are sure to do the trick. 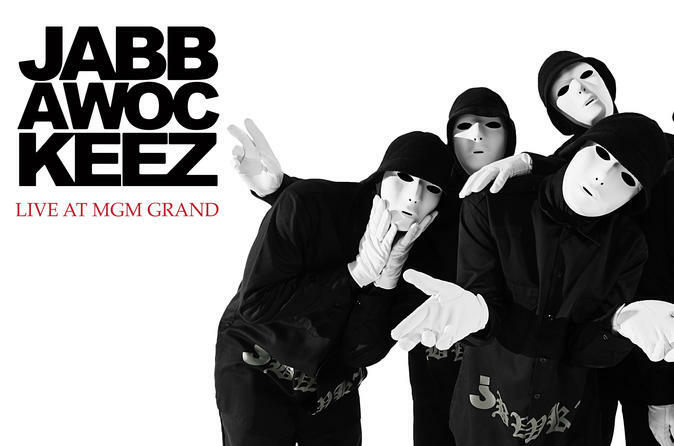 Lights, gravity-defying acrobatics, state-of-the-art hip-hop infused choreography with the King of Pop's signature dance moves fuse seamlessly for what Rolling Stone called "A virtual parade of WOW moments." The Las Vegas Monorail route includes the following stops: MGM Grand, Bally's / Paris, Flamingo, Harrah's / The LINQ Hotel & Casino, Las Vegas Convention Center, Westgate Las Vegas and SLS Las Vegas Hotel & Casino. The Grand Buffet offers a nice variety of choices that are sure to please every member of your family, from small to big. You can enjoy pizza, steak and seafood as easily as you can enjoy Chinese noodles and spicy Mexican tacos. There are numerous food stations to choose from including a salad section, pizza, soups, vegetarian, vegan, and desserts as well as a carving station for some stick-to-your-bones good food. A serve yourself drinks stations offering sodas, juices, and the like. An unlimited beverage option serving champagne and mimosas is available during the weekend brunch. If you have young children you'll be happy to learn that children that are 3 and under eat free. Most of your time in Las Vegas will be spent enjoying activities as a family. But there will also be a few occasions when some alone time away from the kids is desired, so it is important to plan ahead and know what childcare options are available to you. While the MGM Grand does not offer any childcare on the premises for visiting families, the concierge can contact child care operators on your behalf and make the necessary arrangements. Grand Accessible Queen Roll-In Shower Rooms have the same amenities as the above plus a roll-in shower and protective sink sleeves. Hotel room rates can change moment by moment but generally the MGM Grand room rates start at around $60. During peak seasons such as New Year's Eve, NFR, and other major events room rates can rise quite significantly. One mandatory charge for all guests is the daily resort fee of $37 (including tax). Unwide at the Grand Spa after a long day walking the Strip. A massage, facial, or just a sit down in a jacuzzi will do wonders for your spirit and upcoming nightlife. For male-centric grooming check out the Barbershop. The MGM Grand is rated as an AAA 4 Diamond Hotel, so it is certainly more than adequate for most guests. Even so, just as you would expect of a hotel this size, the type of accommodations varies greatly from small and barely okay to so ultra luxurious as to be fit for a king or queen and entourage. In fact, the MGM is very popular with the rich and famous, including Prince Harry. There have been sightings of Robert de Niro, Mark Wahlberg, Magic Johnson, Michael Jordan, and Jay-Z and Beyonce, just to name a few. That is not to say visitors of that stature won't also make a visit at other times. There is no telling which celebrities you might encounter during the course of your stay. Does MGM Grand have an arcade? Yes, MGM Grand has an arcade but it's a new concept for adults only called Level Up. Located between Hakkasan Nightclub and the MGM Grand Race and Sports Book, Level Up features 12,000 square feet of pool, foosball, air hockey, bubble hockey, ping pong, Sigma Derby, Pac-Man and other games. Does MGM Grand have an indoor pool? No, but the pools are heated and open year round. Does the MGM Grand pool complex have lockers? Yes and it's a great ammenity, especially for families. Does MGM Grand allow pets? No, pet are not allowed at MGM Grand. Does MGM Grand have rooms with kitchens? No, but it's sister property Signature at MGM Grand does. Their rooms are stocked with pots, pans, silverware a refrigerator and microwave. Does the MGM Grand have free shuttle from the airport? No. A one-way shuttle to the airport is $11 per person and can be paid to the shuttle driver. Does the MGM Grand still have lions? Sadly, no. We really miss the Lion Habitat attraction. Can kids go to the Wet Republic Ultra Pool? No, Wet Republic Ultra Pool is open to ages 21 and above.